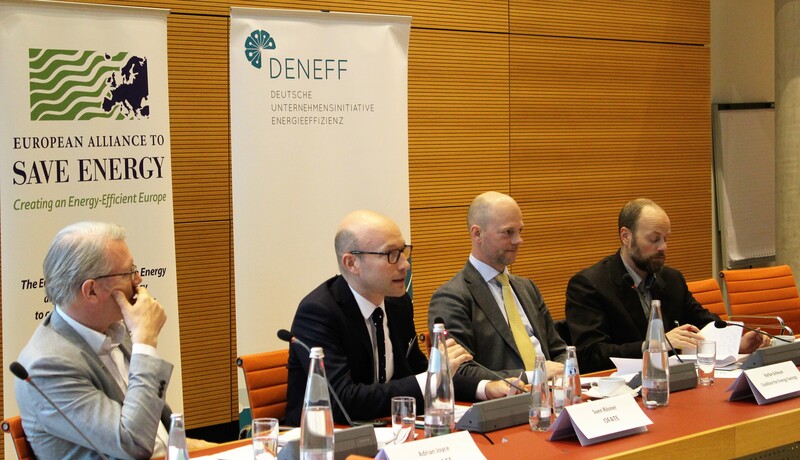 Last Friday 30th November, EU-ASE, DENEFF and OFATE held its First Franco-German Energy Efficiency Business Summit. 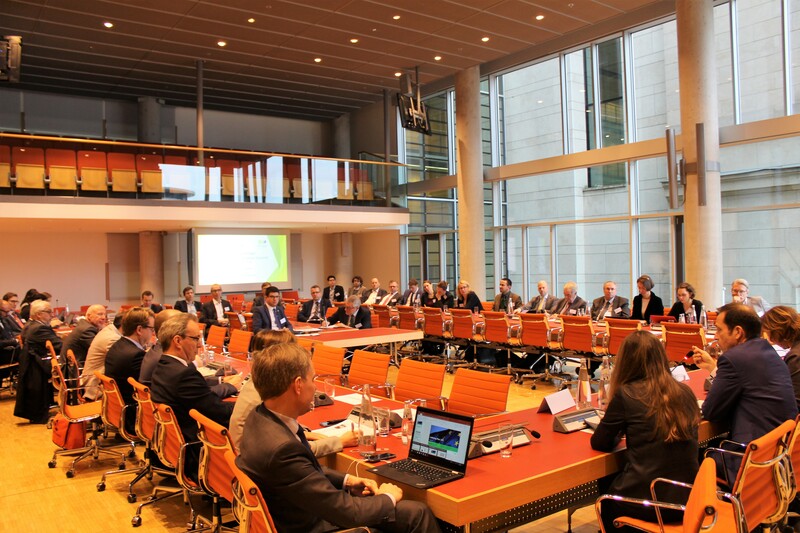 The event took place at the Jakob Kaiser Haus in the Bundestag, in Berlin, and was attended by around 60 participants. 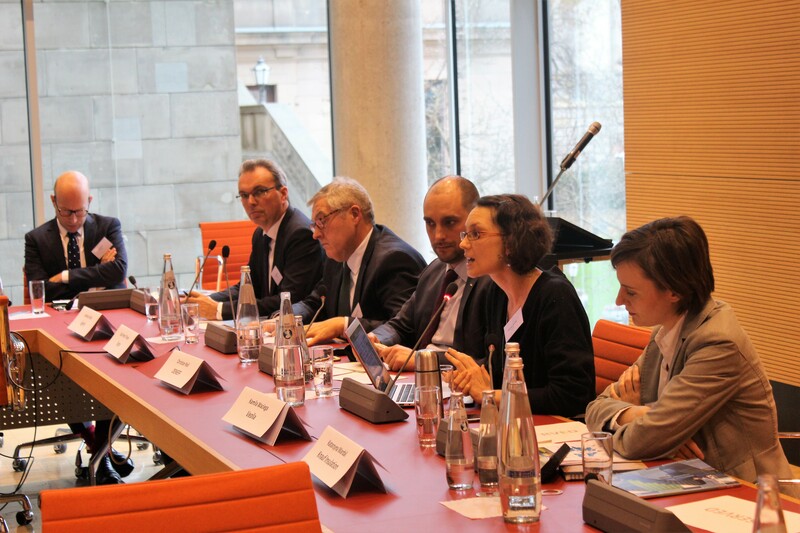 The session aimed at delivering the message that the Franco-German alliance stands strong for energy efficiency and policy implementation at national and EU level, with representatives from both countries’ public administration and business sectors. 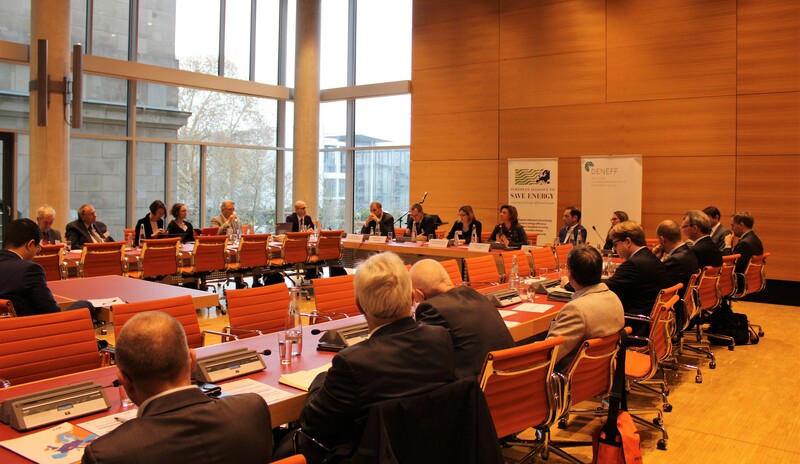 The discussion was opened by Andreas Jung, MP, who called for energy efficiency as essential to combat climate change, and praised the FR-DE collaboration, expressing his wish that it continues with its important work. 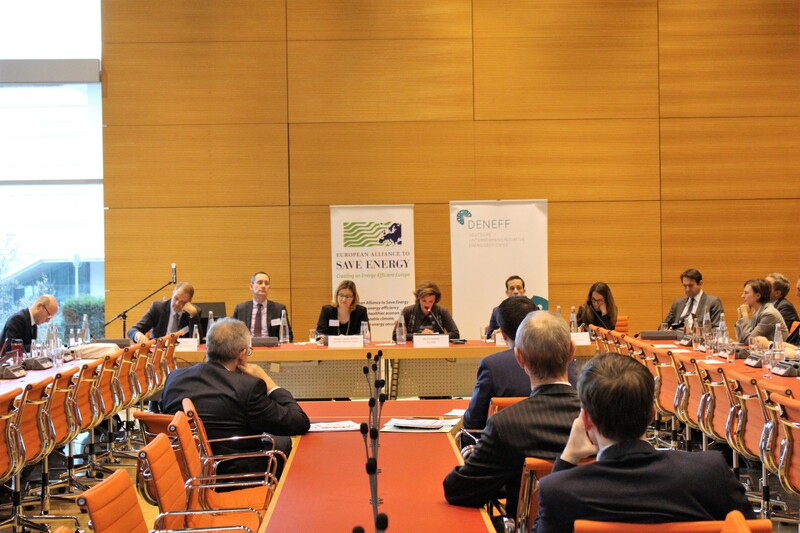 After him, Carsten Müller, MP, supported this idea saying that both France and Germany are leaders in the energy business and, as such, they should also take leadership on climate and energy policies. 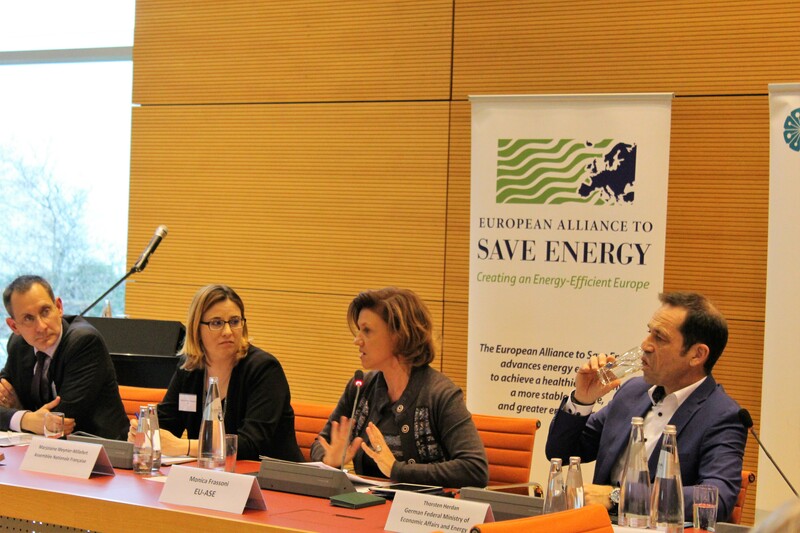 EU-ASE President Monica Frassoni, who moderated the first of three panels, pointed out that targets set out by the EU, as well as the recently released EU Commission’s Long Term Strategy, were insufficient and that we should aim at more ambition in order to achieve the 1.5ºC goal. She underlined that “there is good language and disposition towards energy efficiency but, in terms of actual agenda and actions, we are still far from what is needed.” Barbara Frei, Schneider Electric Country President, said that Europe is no longer on track to meet its 2030 objectives and energy efficiency is the only and primary leader to be able to reach environmental and climate goals. “The next ten years will be critical to mitigate climate change: the revised Energy Performance in Buildings Directive provides us with a unique opportunity to accelerate the energy transition, with the support of innovative and enabling technologies such as Building Automation and Controls,” she added. 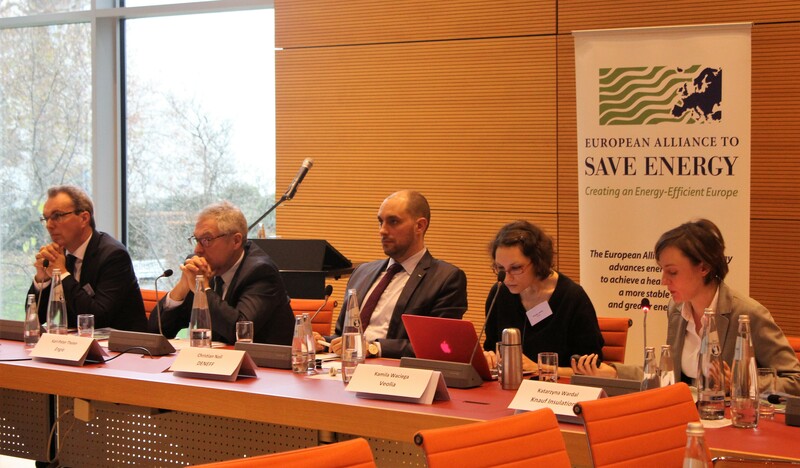 Her intervention was followed by Thorsten Herdan, German MP, who opened his speech claiming that France and Germany need to be at the forefront of the fight against climate change and the ambition in regards to energy efficiency. He pinpointed some raw facts to the audience, such as the energy demand reduction potential of energy efficiency and, hence, how important it is to invest on it. He also underlined that strategies are usually too focused on the demand side and that the supply side should be taken into account. “The current bad side of policies”, he said, “is that right now neither France nor Germany are allowed to raise the level of ambition as set out in their coalition treaty”. As other speakers, he also signaled at the need to change the narrative to improve understanding of the benefits of energy efficiency amongst legislators and citizens, making clear that energy efficiency is not a cost driver but, in fact, the complete opposite. Marjolaine Meynier-Millefert, French MP also participating in the session, recognized that “there is no point pretending that there is not a long road ahead of France in the path towards an energy efficient economy”, but also highlighted that French potential is very high and that energy efficiency improvements in building are to become a top priority in the country’s energy roadmap. 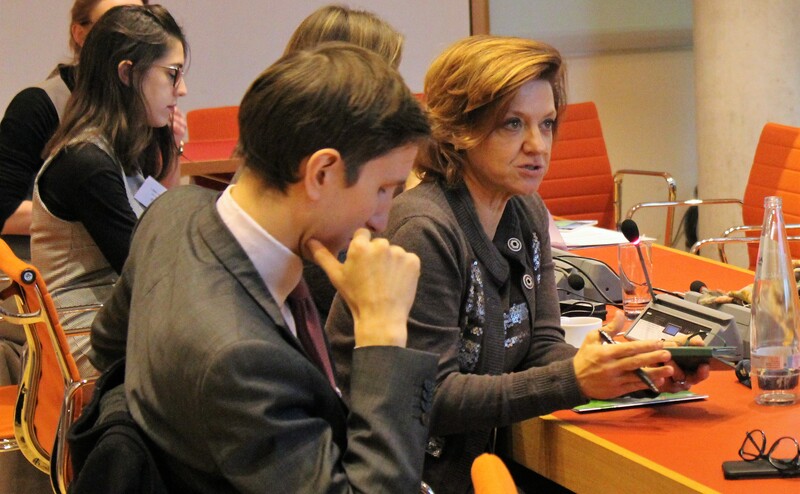 She also presented a new communication plan to be implemented in France to make citizens aware of the different climate challenges and getting them on board of the change of paradigm needed. “France cannot afford not to be exemplary when it comes to climate”, she said. 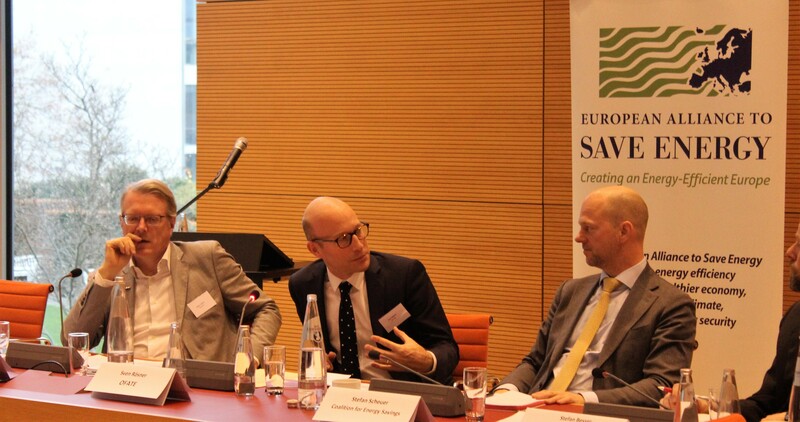 Emmanuel Normant, Vice President for Sustainable Development at Saint-Gobain, presented the EU building stock as the big opportunity for reducing GHG emissions, but pointed out that the deep renovation had yet to happen, as only 2% of it is classified as A in the EU building rating system. “The technology is there“, he underlined, “but there is a need for faster deployment of solutions.” He highlighted the need to embark energy efficiency in every other decision and solution, and to compare the cost of the investment to the benefits reaped on the long-term. “If we are not serious with building renovation we are not serious with our commitment with Paris”, he added. On the European Commission’s behalf, Hans Van Steen, from DG Energy, communicated that the European institution is very happy about its 2050 Long-term strategy and the targets and goals proposed. He said that it sets a clear pathway with specific goals towards carbon neutrality, and that it is not only about the climate, but also about delivering benefits to EU citizens by increasing welfare, competitiveness, and the chance to show leadership. 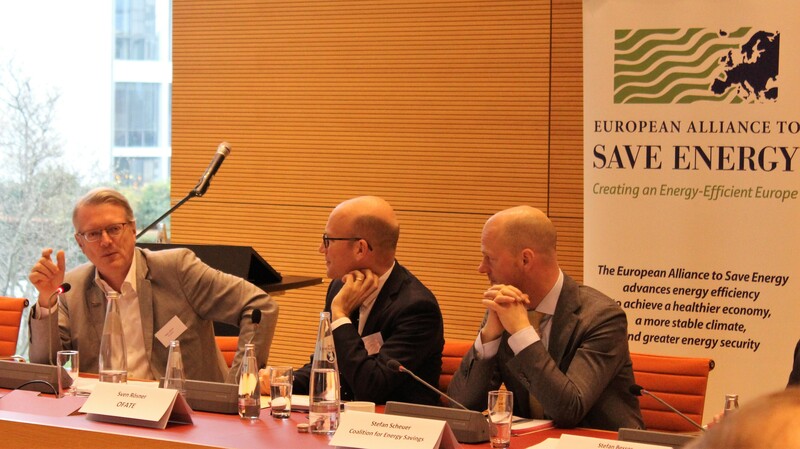 The second panel, moderated by Christian Noll, the Director of Deneff, focused on the private business perspective and brought together several high-level speakers with a cross-sectoral point of view. 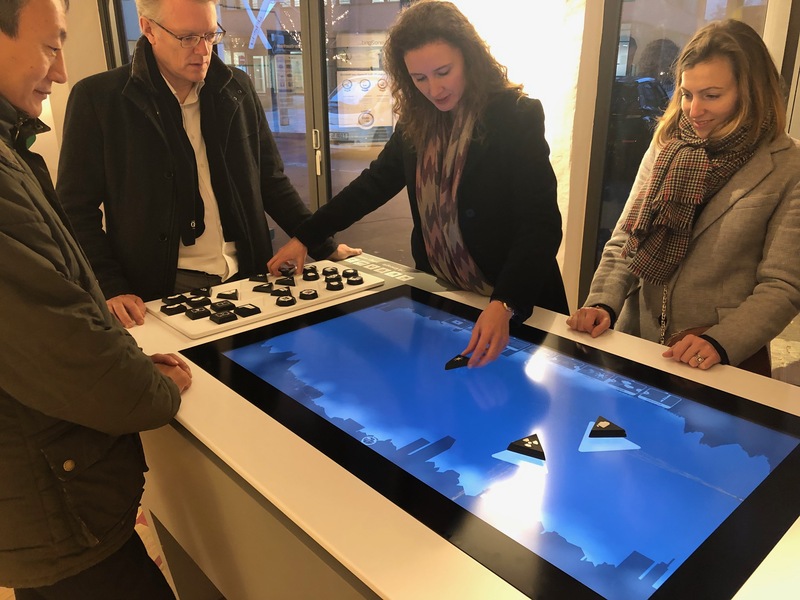 Katarzyna Wardal from Knauf Insulation called upon governments to put net zero buildings the heart of their national legislation and Andreas Rindt on behalf of Signify supported the idea, stressing that developments on the national level still need to take place. 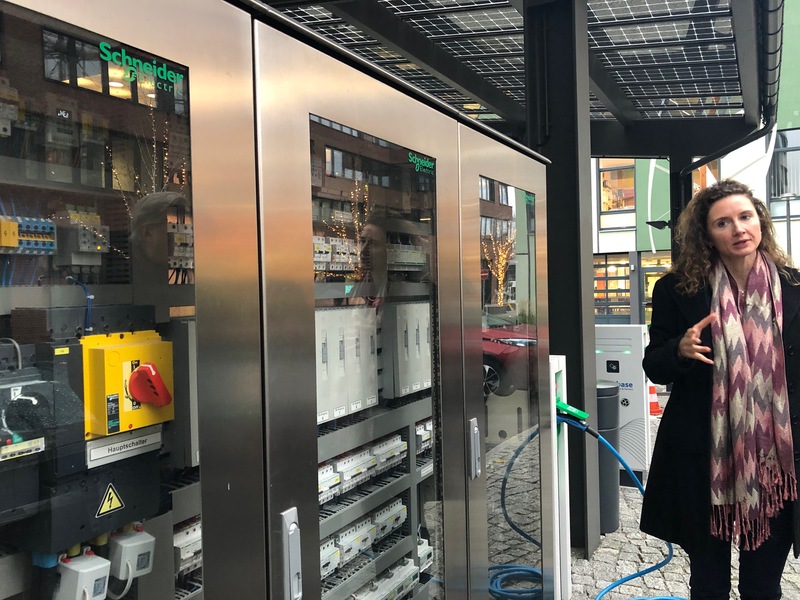 Kamila Waciega, Director of Energy at the Public Affairs Department, Veolia, agreed and stressed that the real energy efficiency gains can only be achieved when primary and final energy savings are taken into account. All panelists agreed on the urgent need to attract private investment to accelerate and improve implementation, as well as an everyday more pressing evidence that a clear and stable framework that can drive business decisions and actions is key. The importance of the Governance Regulation, which sets roads and rules for implementation of the rest of the directives, was especially emphasized. Karl-Peter Thelen, Executive Director Regulatory and Public Affairs at Engie, stressed that energy efficiency is a key element for a sustainable future and that the most important part when it comes to implementation is that Member States set clear targets and a framework “to increase the attractiveness of investments in energy efficiency while at the same time allowing for optimal technical solutions”. 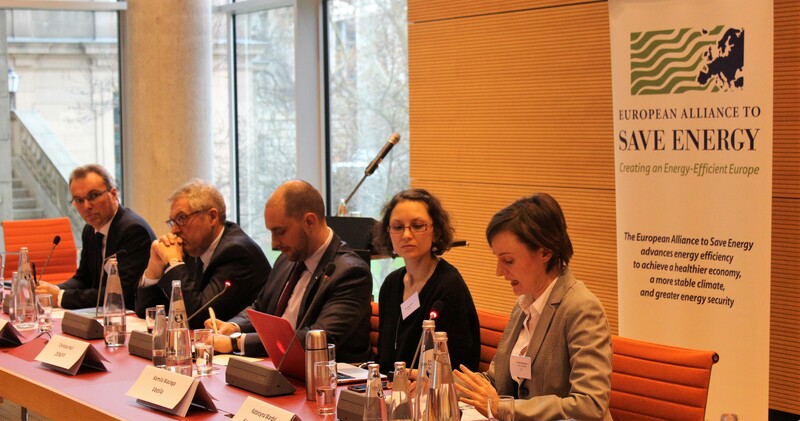 The session ended with a third panel, moderated by Sven Rösner, Director of FR-DE Office for Energy Transition (OFATE) brought forward a fruitful debate between advocacy organisations and German Federal Government representatives, aimed at evaluating the impact of the new European framework on the national context. 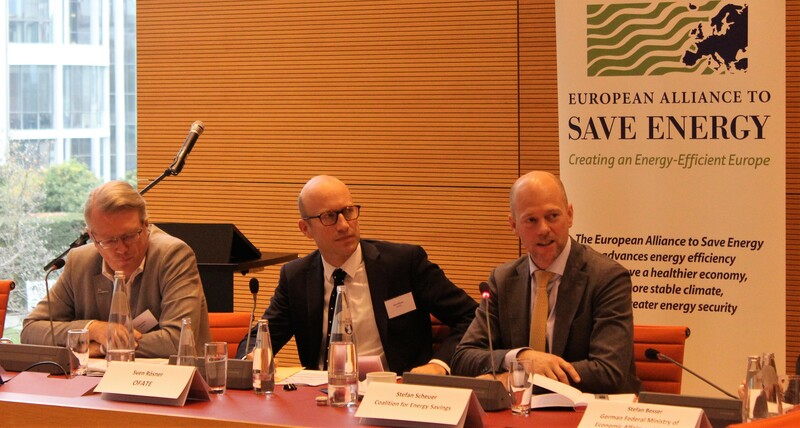 The panel featured speakers like Stefan Besser, Head of Unit of the German Federal Ministry for Economic Affairs and Energy; Adrian Joyce from EuroACE; or Stefan Scheuer from the Coalition for Energy Savings. 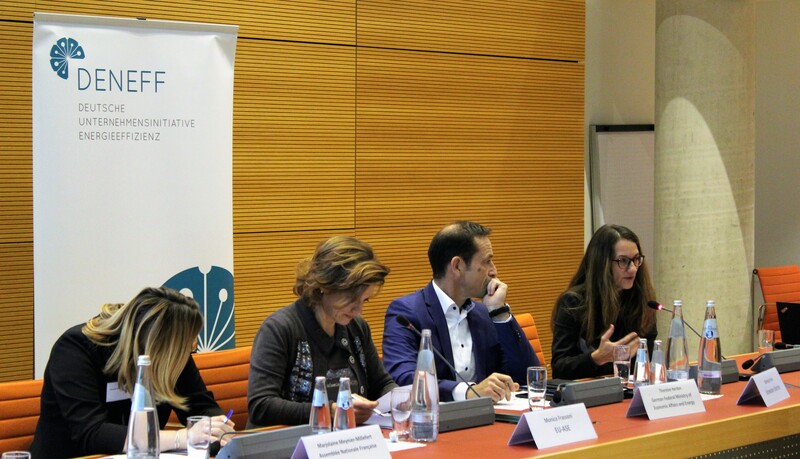 All the speakers highlighted the importance of bringing together all sectors of society – Public Administration, citizens, NGOs, and of trying to forge new alliances. Another common point was that, first and foremost, energy efficiency should be the priority for buildings, as it is the most cost-effective option for decarbonization. Furthermore, Joyce said, it also brings social benefits, as it tackles energy poverty. “When you touch a building, you touch people’s lives, so you must touch them correctly”, he pointed out. 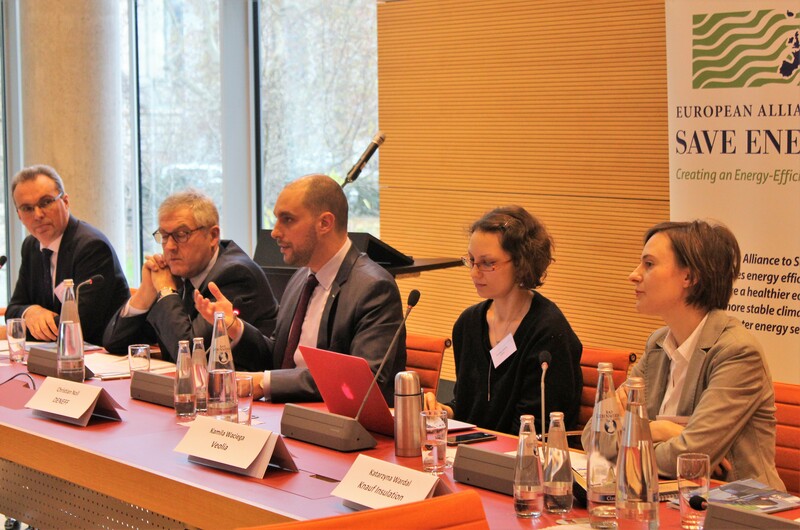 Stefan Besser stated that currently no massive changes were foreseen for the German regulatory approach, a statement in stark contrast with the demands of his co-panelists. The discussion engaged both the panel and the audience on an interesting debate about the link between the current protests in France which sparked off as a reaction to carbon taxation and the fact that energy efficiency can help private households to spend less money on energy and create tens of thousands of jobs for all qualifications when properly implemented. 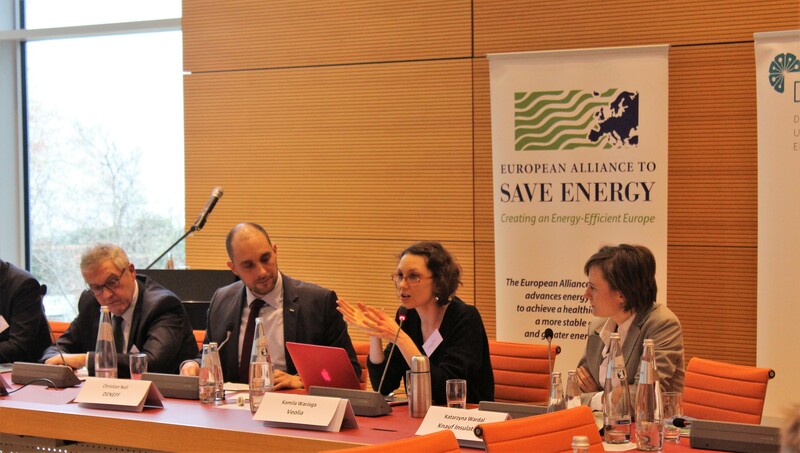 On this note, Marjolaine Millefert-Meynier stated from the audience her opinion that the turmoil as we see it currently in France should also be seen as an opportunity, as people started to think about the way they use energy and the cost of it. She believes this to be a starting point for a dialogue on energy policies. 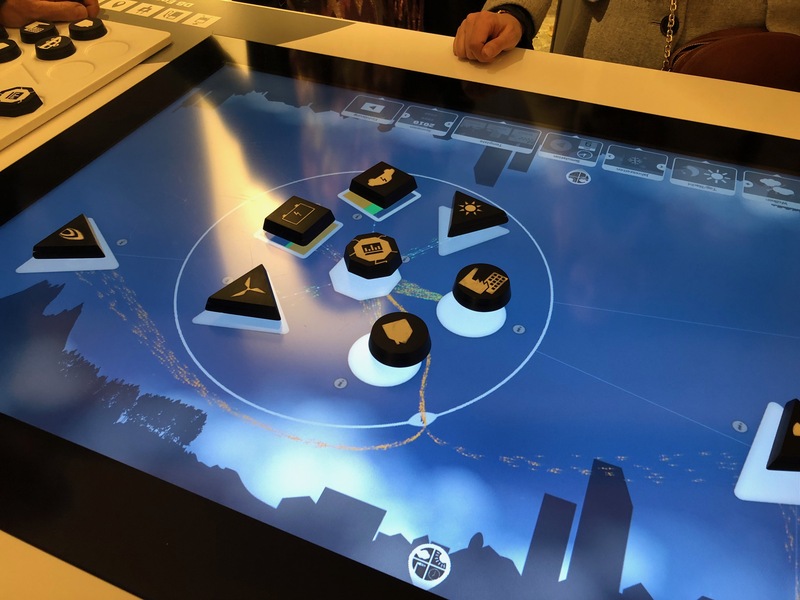 The event was followed by a guided visit of the EUREF Campus, a smart urban district and pilot project for the transition to sustainable energy and mobility.